CZ's first entry into the striker market, the P-10 Compact checks all the boxes of a rugged, durable, ergonomic pistol, while still retaining the CZ quality and shootability that all CZ's are known for. Taking notes from various deficiencies and quirks of other striker pistols, CZ started with a natural grip angle, a deep cut beavertail, aggressive backstrap and frontstrap checkering, and three interchangeable backstraps to improve overall ergonomics as well as fit a wide variety of hand sizes. 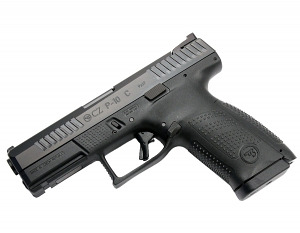 To address the trigger, CZ developed a crisp 4.5-5lb pull with minimal creep and stacking, with an ultra-crisp and short reset, ideal for a duty or carry pistol. 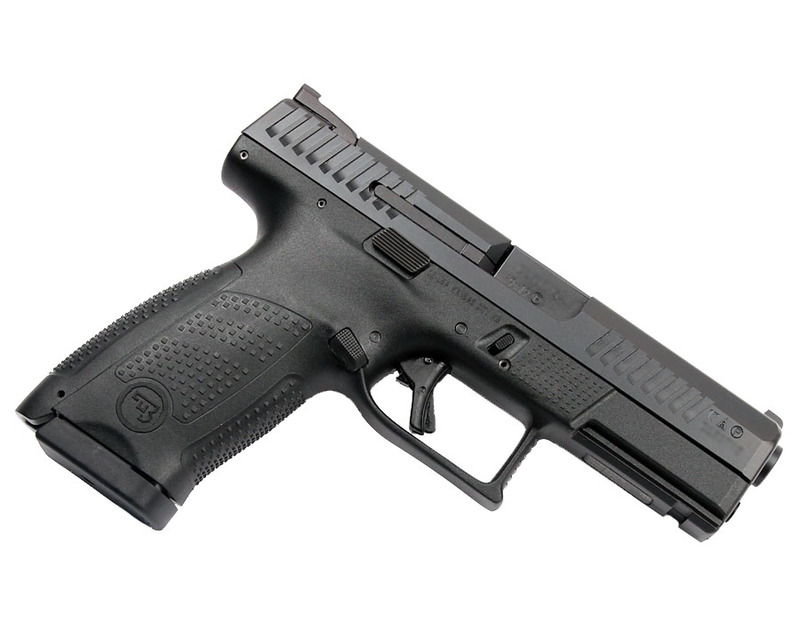 Additional features include fully ambidextrous controls, quick and easy takedown, metal three dot sights, durable Nitride finish, cold hammer forged barrel, and a compact 15+1 grip, the P-10C is the complete package. Comes with two 15RD magazines, two spare backstraps, manual, lock and case. I'll keep this short but sweet this pistol is absolutely amazing! I put roughly 600 rds through it on the first range trip to find excellent accuracy and reliability even with hollow point ammo this will be one of my EDC pistols for sure. As far as the purchase process what can I say other than you can't ask for a better or more professional gun shop that's why I do 99% of my firearms shopping at Top Gun. Bottom line is if your looking for a killer 9mm striker fired gun that's going to shoot great right out of the box this is your gun.